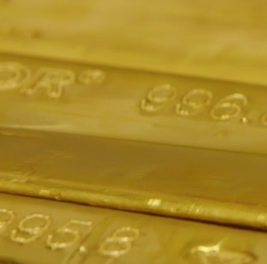 WHAT next for gold prices if the slump in crude oil means a recession lies dead ahead? asks Adrian Ash at BullionVault. "Generally a reflection of the global economy's heartbeat," says UK fund management giant M&G's Bond Vigilantes blog, "[Brent crude] oil prices sank to $56 per barrel, down from $76 last month." M&G point to "increased Saudi Arabia supply and reduced demand forecasts" and the fact that forecasters like the IMF have cut their global GDP growth forecasts. "Some investors also question the sustainability of the US strong economic streak once the effects of the recent corporate tax cuts wane." Apparently you can put numbers on this. "Weaker demand was responsible for 85% of the decline in Brent crude since the October 3 high," reckons Ziad Daoud, chief Middle East economist at Bloomberg Economics, paraphrased by CNN. "The rest was caused by the supply shock [of] Saudi Arabia and the United States pumping record amounts [plus] a more muted impact than expected [from] US sanctions on Iranian oil shipments." The plunge in oil prices also comes alongside a sell-off in developed-world equities. That sounds worse still for the decade-old boom in global economic growth. I mean, oil and risk-assets sinking together? Recession must be coming! History however is less sure. The gray bars mark US recessions. Looking back over the last four decades, oil rose into the 1980 recession and then barely moved ahead of the 1981-82 recession. It fell into the 1990 recession (only to jump to 10-year highs half-way through on the first US-Iraq war), and also fell into the 2001 recession. Oil then surged into the 2008-09 slump in the economy, hitting new record highs before peaking another 65% higher again – right on the eve of the Lehman's crisis – mid-way through that joint 9th longest recession in US history. So like in 1980 and 2008, might a recession now get blamed on mid-2018's multi-year high in the oil price forcing a slowdown on economic growth? Maybe. But if so, you may as well blame a peak in the stock market. US equities set new all-time highs just ahead of October's steep drop – the worst monthly fall since 2012. And six months ahead of each of the last five US recessions, the US stock market stood higher from 1 year before, giving investors a 16.2% average gain. Even 1 month ahead of those downturns the Wilshire 5000 index stood higher 4 times out of 5, averaging 8.6% annual gains. Equity investors, in other words, didn't see a recession coming. Or if they did, no one did a damned thing about it. 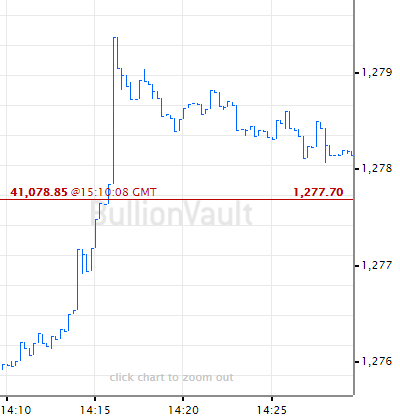 So what about gold prices if recession does strike? Famously useless for most productive tasks, gold finds barely 10% of its annual demand from industry, and while jewelry demand can suffer when the economy slows, investment demand rises when people fear economic or financial strife. So gold prices overall show next to no correlation with GDP growth. The last five US downturns prove the point. Gold prices fell and rallied during both the 1980 and 1981-1982 recessions, rose and fell back to unchanged in 1990-1991, edged 5% higher in 2001, and rose 15% across the 2007-2009 crash. Back to oil, and the speed of this late-2018 drop in crude prices looks awful fast for a fundamental revision of supply and demand forecasts. Prices fell for 11 sessions running to the start of last week, the longest such stretch in, like, ever. Odder still, the price of natural gas – another fossil fuel you might think can also signal something about underlying global economic demand – shot higher. 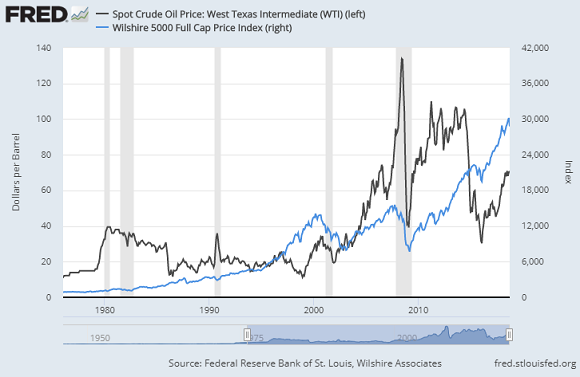 "The truth of the matter," reckons Kevin Muir, the MacroTourist blogger at East West Investment Management, "is that there is a Behemoth [fund] out there that was long crude oil against short nat gas." While Muir admits it's a guess, his evidence stacks up neatly. "[The] move in both crude oil and nat gas," he says, "was not the result of some well-thought out fundamental reasoning. Rather...it is due to a large hedge fund calling up their broker at 1-800-GET-ME-OUT." 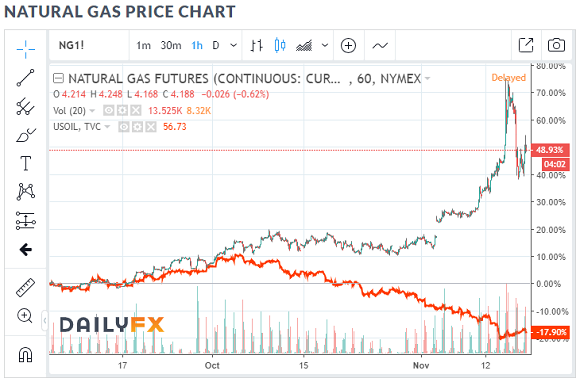 That's because, "over the past five years, short natural gas has been a consistent source of profit [as the price fell] while crude oil has been rallying due to the synchronized global recovery." Betting against natural gas and betting bullish on crude oil "has been a fan-freaking-tastic trade" since 2013, says Muir. But last month, for whatever reason, it fell over. The dash for the exit created the waterfall in oil, and the hockey-stick spike in natural gas, shown on our chart above. Because they were two legs of what had become one trade: short nat gas, long oil. 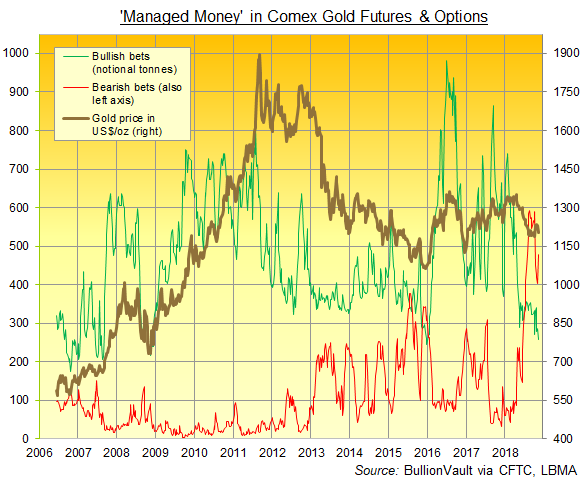 Our chart shows how hedge funds and other speculative players are betting on Comex gold futures and options. As you can see, betting against gold prices has become a popular trade for hedge funds and other speculative players in 2018. That no doubt makes sense for hot-money traders trying to make a living by betting on where asset prices will head. Because with gold prices still one-third below the 2011 peak, the world's major stock markets have neared or set fresh all-time record highs this year. Central banks everywhere are meantime now following the US Fed by raising interest rates – kryptonite to gold prices, all other things equal. Looking at this Managed Money category (as defined by and reported to US regulators the CFTC), their quantity of bearish bets last week stood at 4 times its previous 10-year average. Bullish betting, in contrast, stood at barely half its 2008-2018 average, a mere 52% in fact. 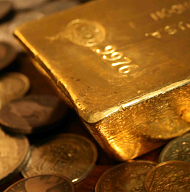 Net-net, that means the Managed Money now holds a negative bet equal to some 220 tonnes of notional gold overall. That compares with a positive 10-year average of 375 tonnes. Speculators as a group have now been net bearish on gold prices for 4 months running. So what happens to gold prices if the economy slows and GDP growth turns negative? 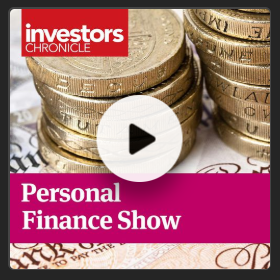 It may matter less than what happens to those bearish hedge funds, betting that the price of gold will fall and all needing to rush for the exit – driving gold futures higher, and with them the price of physical gold – if it doesn't.